Gutter Polishing is the cleaning of the facial part of your gutter. Over time the outside of your gutters may become stained and discolored. 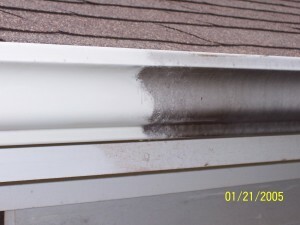 We can remove these unsightly stains with our gutter polishing service. Gutters are polished by hand with a specialized cleanser to restore them to their original color. © 2019 20/20 Window & Pressure. All Rights Reserved.